Francesca dePasquale, of the celebrated musical dePasquale family, made her recital debut accompanied by pianist Meng-Chieh Liu at the Philadelphia Museum of Art on April 3, 2016. Photo: Alexandra DeFurio. Francesca dePasquale's Philadelphia Chamber Music Society recital debut Sunday afternoon was fascinating for all the things it wasn't, and, ultimately, for declaring all the things she isn't. 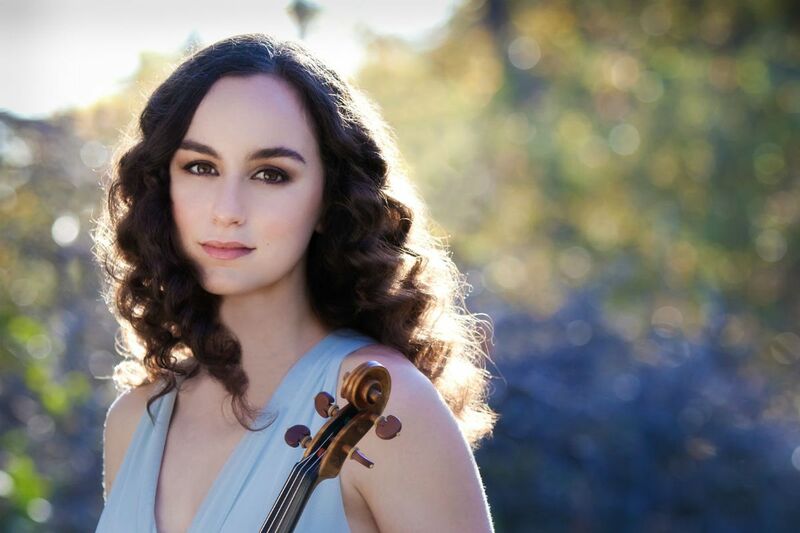 A scion of the Philadelphia family of string players, dePasquale did in fact own up to her lineage, telling the Philadelphia Museum of Art audience that her father, longtime Philadelphia Orchestra member William de Pasquale, was an inspiration. But it was hard to hear any stylistic connections. The program, too, suggested an artist who has gone her own way - six composers, not one of the classical era. It was a wise move. Each piece, plucked from her recent CD, cast a light on a spectrum of strong qualities. Bach was most revealing, as Bach always is. The "Chaconne" from the Violin Partita in D Minor was respectably mature for a 26-year-old, nuanced in thoughtful ways, with well-developed character differentiation in each section. That dePasquale can seem emotionally exposed with no loss of security is a great gift. In a concert in which she was joined by pianist Meng-Chieh Liu, intensity was the virtue most conspicuously exploited in Messiaen's Thème et variations from 1932, with dePasquale's judiciously managing vibrato in fine gradations. Paola Prestini's Oceanic Fantasy paired solo violin with taped field recordings of folk singing, voices, and street noises gathered in Italy. Violin melodies grow out of the taped material, a nice touch, but it was dePasquale's sound that was of the primary interest. In Bartók's Rhapsody No. 1, also with Liu, dePasquale showed a particularly imaginative sense of color. I counted four distinct shades - a glassine, folklike tone; a lusty, generous vibrato; a warmer, reassuring vibrato; and a sunnier and simpler sound in the second movement. Technical tools are handy. That dePasquale deployed them so smartly, though, augurs well for deeper insights to come.